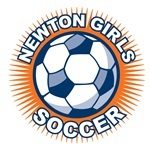 A NOTE ABOUT TIMES/FIELDS: Please note that session times and fields are subject to change depending on the number of players registered and the fields assigned to NGS by the City of Newton. If you have to withdraw because of a change that we make, we will issue a full refund of your registration fee. Schedules are posted as they are finalized.